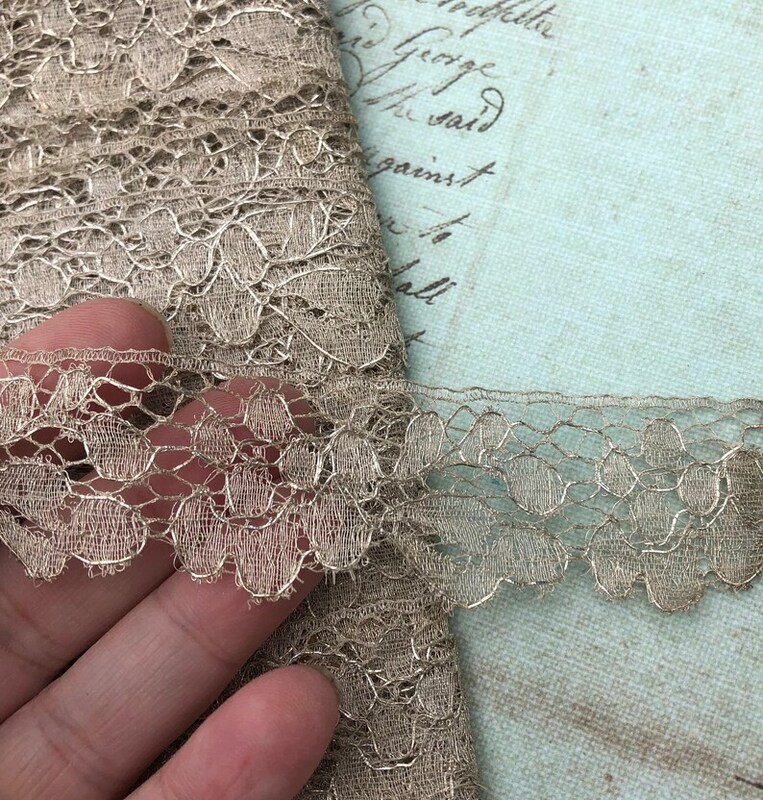 This is gorgeous antique metallic French lace trim. It's a dark gray/silver, and is just stunning. This trim is in very good condition, other than some tarnishing/darkened areas due to age.